The photograph shows D.M. 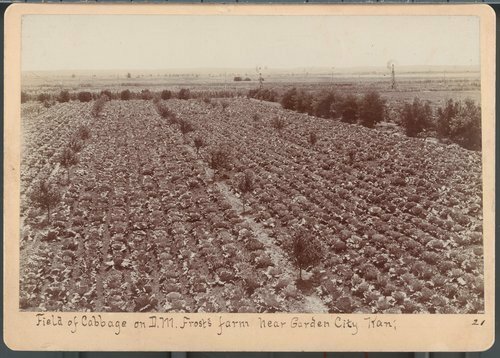 Frost's cabbage field near Garden City, in Finney County, Kansas. The photograph also shows a few windmills and some trees.